It’s been a busy Canada Day in the National Hockey League, with the commencement of the free agency period resulting in a pile of signings. Among the biggest signings is that of Milan Lucic, who inked a seven-year deal with the Edmonton Oilers. ESPN is reporting that the total value of the contract is $42 million. Edmonton general manager Peter Chiarelli was after the man he got to know as the general manager of the Boston Bruins and it was no secret that the Oilers were heavily courting the 28-year-old forward. They traded Taylor Hall away to the New Jersey Devils a few days ago with intentions on making room for Lucic. “Being with Peter in Boston, what he was able to do with us there, adding the right pieces at the right time and my loyalty towards him made the ultimate decision and I’m just excited to get going and see what we can do moving forward,” Lucic said. Lucic will be a compelling fit for the Oilers, who could pair him with Connor McDavid and provide some serious physical support for their other young players. 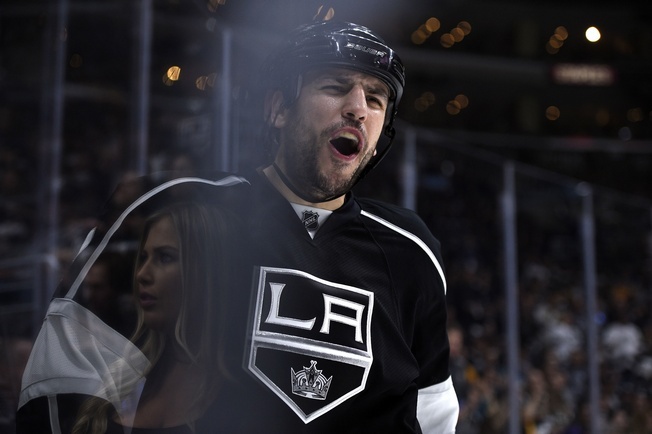 Lucic departs the Los Angeles Kings after one season, where he put up 55 points in 81 games. He arrived in California after eight seasons in Boston, where he developed a reputation as a physical player capable of putting the puck in the net. His best season to date came in 2010-2011, when he posted 62 points in 79 games – including 30 goals. Lucic and Chiarelli won a Stanley Cup together with the Bruins in 2011.